Over 100 years ago, The Zeeland Record was not the only game in town. Adrian Van Kovering, at the age of 19, started his own print shop on the north side of Main Street with a $50 loan from his uncle, Jacob DenHerder, a local banker. In that same year, 1893, Hiram Potts from Grand Haven moved some printing equipment into a building on Main near Church Street. 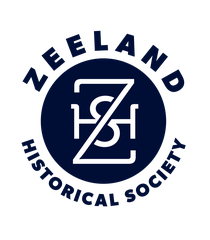 He printed a paper called "The Zeeland Expositor", which was printed half in English and half in Dutch. Within a year, a Mr. Ringe came to town and started second newspaper also on Main Street. This brought competition to a community that was too small for even one newspaper. Ringe sent out 300 free sample newspapers and within a few months became discouraged at the lack of subscribers. He wanted out. He sold the young Van Kovering his entire operation for $150. 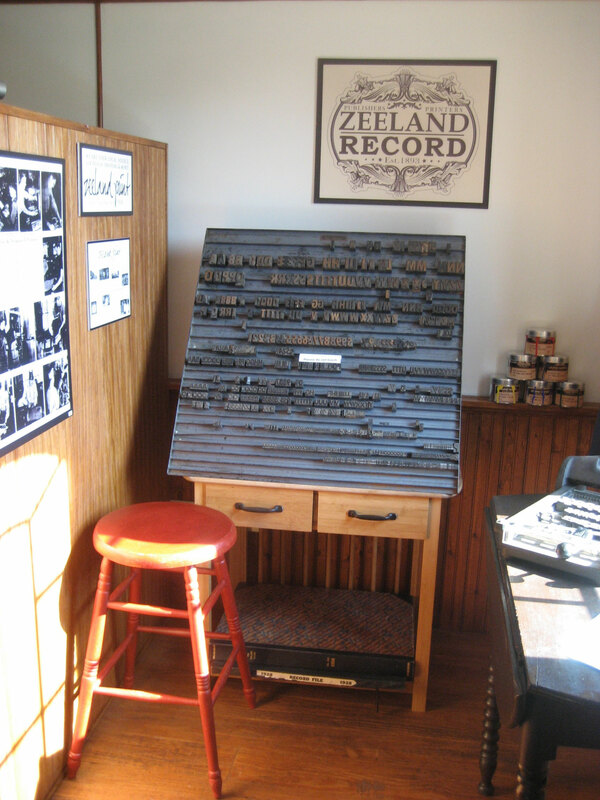 He started printing a weekly newspaper, which within 5 years, merged with the Zeeland Record. After several moves and expansions, but always downtown, the Zeeland Record is now on Elm Street and in its 122nd year. In 1908, Abraham Van Hoven, known as "Abe the Printer" was working for the Zeeland Record. By 1919 he established his own business, The Zeeland Print Shop, above a shoe store on Main Street. Within 5 years he moved to 145 Main where after 93 years it remains today and is operated by the 4th generation of Van Hovens.